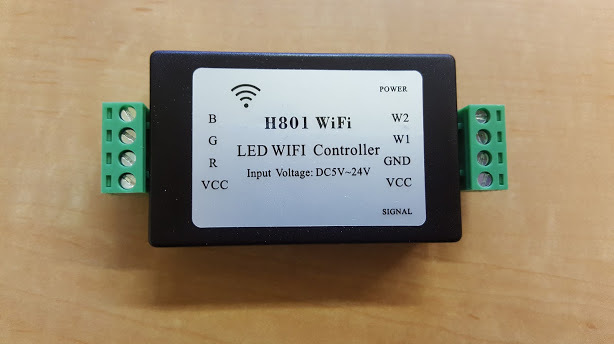 This is a relatively inexpensive RGBW controller powered by the esp8266. It is a great little device that I have spent some time working on. Currently using 3 in my home and they have been great. This is fun little device!